Is Sugar hiding in your food? Food labels often don't tell the full story. Viewing the ingredient list can often give you more details than the numerical summaries indicate. Many foods are marketing as having less sugar than they do by using other names for the sugars that are added. Dozens of terms including fruit juice concentrate, beet sugar, [barley] malt syrup, evaporated cane juice, corn sweeter (and many other corn syrups including the nefarious HFCS) are just some of the more innocent sounding names of added sugars. Ultimately the best plan is to seek and eat least-processed foods and prepare them with ingredients you fully know. Barring that, start to take note of the colorful names in your ingredient labels and start to educate yourself on what items are really in your foods and if they are counter-productive to your goal to lessen sugars in your diet. As always, you can discuss your food concerns with Dr. Aron during any of your visits. She can help you make healthy food choices for your weight loss dieting needs. What Type of Diet is Right for You? Mediterranean? Ketogenic? Vegan? There is no shortage of diet names to confuse us all. 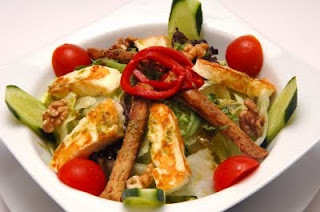 We want to be healthy and want to go beyond just a gimmick or trend. Dr Aron surely knows fact from fad, she prescribes diets to all her patients. So here are some simple facts about what makes a diet healthy, and why it should matter to you. Well … That seems like a pretty good reason to care about your diet. Across the board evaluation of clinically viable food plans favor higher percentage of vegetables, limiting sugars, and replacing processed grains with whole grain sources. Important to note is that juices are not considered a proper replacement for real fruits and vegetables due to their higher glycemic index and loss of healthy fiber in processing. Likewise, potatoes fall into the carb camp not as veggies. Making the proper substitutions can be challenging yet the clinical outcomes are meaningful in that your diet can push back on risk factors for cardio-vascular diseases, high blood pressure, obesity, and of course, diabetes. Fundamentally, maintaining proper nutrition is key, via proper balanced diet and appropriate food choices. Dr Aron can advise you of any items you are not sure if suitable for your weight loss progress as well as for your life. Visit her medical practice at WeightLossNYC.com to learn more. 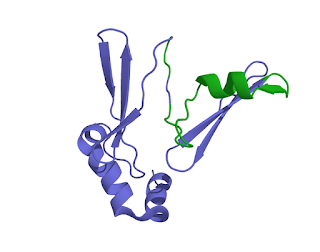 Ghrelin: from the acronym GHR (“growth hormone-releasing peptide”) +‎ -lin (common hormone suffix), with an incidental pun on prefix greh- (“to grow”) and English growling. As we have blogged before, ghrelin is a powerful protein that our bodies use to signal hunger to the brain, a naturally produced hormone which we can indirectly affect by application of some good habits. Medical weight loss addresses the hunger factor to help you reduce cravings and shed weight naturally by the body’s natural pathways. The benefits of losing weight may be obvious, yet worth considering some of the less familiar aspects as well. Can Your Daily Schedule Cause Obesity? You can discover how easy it can be to lose weight with physician supervision. Dr Aron is a bariatric physician — medical specialist in the field of weight loss. Every moment we have a choice: to have the results we want in life, or instead to have the excuses why we don’t. What are your personal motivators? Improve your health? Feel more fit? Regain your figure? Work with medical weight loss Dr Aron to bring the future you want, closer to you today. Call Dr Aron Medical Weight Loss Center at 718-491-5525 or visit WeightLossNYC.com to start losing weight. A new study in the journal Nature suggests that emulsifiers—commonly used ingredients in many favorite processed foods—may be interfering with bacteria in our digestive tracts and causing increases in metabolic syndrome, inflammatory bowel disease, and obesity. Ingredients such as lecithin, carrageenan, polysorbate80, polyglycerols and xanthan and other “gums” improve the texture and shelf-life of many supermarket foods and keep ingredients such as oils and fats from separating. They are found in many ice creams, baked goods, salad dressings, veggie burgers, non-dairy milks and hamburger patties. In the study, when fed emulsifiers, the mice who had normal immune systems developed mild intestinal inflammation and a metabolic disorder that led them to eat more. They became obese, hyperglycemic and insulin resistant. The mice with abnormal immune systems developed chronic colitis. Several commonly used ingredients in many popular processed foods could be interfering with bacteria in our digestive tracts yielding increases in obesity, metabolic syndrome, IBS and more. Dr Aron can help you address many of these health concerns. Emulsifiers seem to change the gut microbiota (or environment) and how bacteria interact with the intestine. This paves the way for inflammation. While emulsifiers may not be the sole cause of the rise in obesity, they could very well be a factor. Many emulsifiers and food additives are considered safe by the US Food and Drug Administration (FDA). However, the FDA has not determined safe levels of consumption, particularly because people consume emulsifiers in so many different foods. Additional studies on humans are needed to better understand how emulsifiers impact humans. Are you needing to lose weight? Sima Michaels Dembo, MPH, is a health care consultant and writer. She is a guest contributor to this blog. Chassaing, Benoit, et. al., “Dietary emulsifiers impact the mouse gut microbiota promoting colitis and metabolic syndrome,” Nature, 519, 92-96, Published online 2/25/15. Accessed 3/5/15. Grossman, Elizabeth., “How Emulsifiers Are Messing with Our Guts (and Making Us Fat),” Civil Eats, February 25, 2015. Accessed 3/5/15. Portion control can slip up almost anyone no matter how hard you try. How do you know if you're eating the right amount of food? You can measure everything out, teaspoon by teaspoon… or you can try this simple guide. Looking for a quick, easy way to know you&rsuo;re eating enough but not too much? Look no further than your own hand! Every time you prepare a meal or sit down to eat outside of the home, you can follow these guides to gauge how much you should be eating by simply looking at your hands. Here’s how to measure your portions with ease. A serving of meat should be 3 or 4 oz., but what does that look like? It's about the size or your palm. This carb-packed food should be no more than a 1/2-cup serving--or the size of your clenched fist. A quick snack, you need no more than a tablespoon of peanut butter. The distance of your knuckle to the tip of your thumb is just the right amount. Go easy on the butter, but what does that mean? Try 1 teaspoon max on your toast or about the size of the tip of your index finger. can easily pack on the fat and calories, so avoid. A couple spoonfuls to taste; One cup is about the size of your closed fist. Controlling the number on the scale starts with controlling how much and what you eat. The serving size listed on food packaging isn't always how much you should eat. But with these guidelines, you can easily keep yourself—and your weight—in check. Is Organic Milk healthier for you? Organic milk: Does it help you lose weight? Organic or non-organic? Whether we’re talking about fruits, veggies, meats or dairy, opinions abound. Cows producing organic milk are fed grass with high omega-3 fatty acids, while cows used for conventional milk are fed corn, which have higher levels of omega-6 fatty acids. Organic milk has a healthier balance of omega-3 fatty acids and omega-6 fatty acids in all types of milk but nonfat milk, which can aid weight loss or help maintain your weight. In the samples taken in the study, the total amount of fat in the organic milk was the same as the conventional milk. But when comparing the types of fatty acids, organic milk had 62 percent more omega-3s and 25 percent fewer omega-6s. Both omega-3 and omega-6 fatty acids are essential to a healthy diet. Omega-3s can be found in fish and flaxseed, while omega-6s can be found in many fried foods. 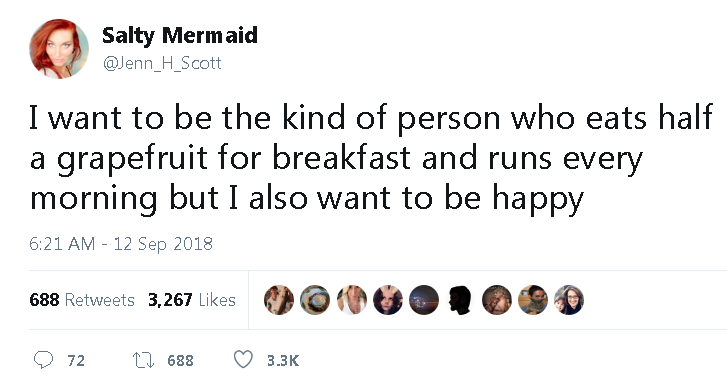 The right balance of both is key. Omega-3 and omega-6 fatty acids offer health benefits, but when it comes to milk, organic milk may be your healthiest option. Weight loss expert Dr. Aron will personalize a healthy weight loss plan just for you so you can lose weight fast. 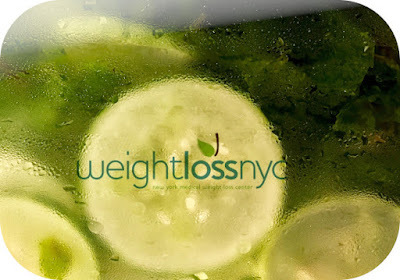 Call 718-491-5525 for your initial consultation, or visit WeightLossNYC.com for more information. 11 Celebrity Weight Loss Secrets? Media love to hype up celebrity diets, but you don't need an endorsement to read up on healthier food options for your diet. On the quest for foods that help you lose weight? Or are you in a meal planning rut? Look no further than the following healthy foods to incorporate in your next meal to mix it up and drop some pounds. The only celebrity here is you, making famous food choices to build a healthier you. With 5 grams of fiber, they're as filling as they are delicious. They also contain pectin, which helps lower bad cholesterol. Eating eggs for breakfast can lower your daily caloric intake by 400 calories. With no carbs and lean protein, it helps you feel full. Its piceatannol content helps block the formation of fat cells. Dr. Aron recommends taking a fresh look at the foods you eat every day is an important healthy start. Keep switching out some of the unhealthy items in your diet with healthier ingredients, you will feel and see the difference in your diet. You can lose weight fast by calling us at 718-491-5525 for your initial consultation. By taking a holistic approach to your unique needs, Dr. Aron will help you achieve and maintain a healthy weight. Medical weight loss is the only clinical solution recommended by the American Society of Bariatric Physicians. Looking for an easy trick to cut calories? Substitute some of your favorite foods with something just as delicious (or even more so) that's less fattening. You'll find yourself satisfied—and slimmer—in no time. These are a just few examples, but don't stop there. Always be on the lookout for other ways to swap something not-so-healthy for something that's great for you. Eating an actual orange has 3 more grams of fiber and half the sugar of a cup of orange juice. Swapping a 10-inch flour tortilla for a 6-inch corn tortilla can save a lot on calories and sodium. To cut calories, try a 100-calorie multigrain wrap instead of a sandwich with 2 slices of bread. A better alternative for a sweet snack, try some raisin bread with low-fat cream cheese. Too large a serving of nuts can be fattening, but if you choose trail mix with the right heart-healthy ingredients, you can shave off some calories and fat. Small changes like these can help you lose weight, one pound at a time. Want to make a big change and lose even more? 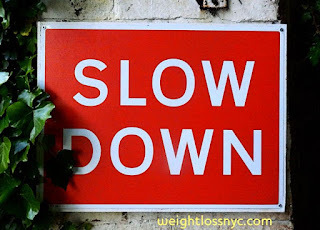 Please give WeightLossNYC™ Medical Weight Loss Center a call at 718-491-5525 for your first appointment. From birthday parties to business meetings, social events almost always involve food and lots of it. While we can’t get away from that fact, we can approach it in a healthier way. Here are some healthier ideas and alternatives for the next time you plan another business meeting or social gathering. In business meetings especially, you need to be able to focus, but why do they feature sugary and fattening foods like donuts and pizza? Those who are trying to stick to a diet either give in to temptation or skip eating—neither of which benefits you. Instead, why not provide healthier foods and snacks so people can actually be nourished? Bonus: people will also be able to pay attention without suffering from a sugar crash. If you still don’t know where to start, check out these healthy and delicious options below for inspiration. Get a structured weight loss plan and diet from Dr Oksana Aron of WeightLossNYC. If you’ve been struggling too long on your own, now’s the time to get real help. Call 718-491-5525 to make your first appointment with Dr. Aron, who will work with you one-on-one to help you achieve the results you seek. Are you in the red? Burgers. Bacon. Cold cuts. Hot dogs. What do these foods all have in common? They're all red meats, for starters. They're also fattening--and they come with health risks. Below are some important facts that will make you want to cut back on red meat if you're serious about losing weight (and if you're concerned about how it relates to your life span and quality of life). In case you're wondering, red meat includes beef, pork and lamb, and recent research shows that eating red meat means you have a higher risk of early death. Saturated fat and cholesterol found in red meat are linked to coronary heart disease. Eating processed meats such as bacon, sausage or hot dogs once a day can double your risk of Type 2 diabetes. Heme iron, which is found in red meat, is associated with heart attacks and fatal heart disease. Red meat may increase your risk of colorectal and other types of cancer. By eliminating or limiting red meat in your diet, you make an important health decision that can almost instantly benefit you. Think of some healthy red meat substitutes--such as lean turkey or grilled mushroom--that satisfy your cravings, but don't present a major health risk. Get started today on eating and thinking in a healthier way. Make your first appointment today with Dr. Aron at WeightLossNYC if you want to see results and start losing weight. Give us a call at 718-491-5525 and we'll be more than happy to help. To see some weight loss results, exercise and healthy eating go hand in hand. If you've never been athletic, there's still hope--because even just a little bit of exercise can do wonders for your health and weight loss goals. Here's how. You don't need to be a marathon runner. In fact, you're better off jogging and doing moderate exercise if you want to lose weight. The best part? All you need to do is exercise a few times a week to get some traction in your weight loss regime. Specifically, an encouraging 2012 study of 52,656 American adults found that those who ran 1 to 20 miles per week at an average pace of about 10 or 11 minutes per mile ... lived longer, on average, than sedentary adults. They also lived longer than the group (admittedly small) who ran more than 20 miles per week. In one study in Denmark, a group of overweight men lost more weight when they exercised moderately for 30 minutes several times per week compared with men who worked out twice as long. They also ate less than the men who exercised more. In the same study, those who exercised longer sat around more during the rest of the day than those who exercised moderately. Those who exercised for 30 minutes a day seemed to be more energized. Moving around, stretching and being more active during the day all add up! Even if you are active for 10 minutes a few times per day, a few days per week, that counts as exercise too--and every little bit helps. 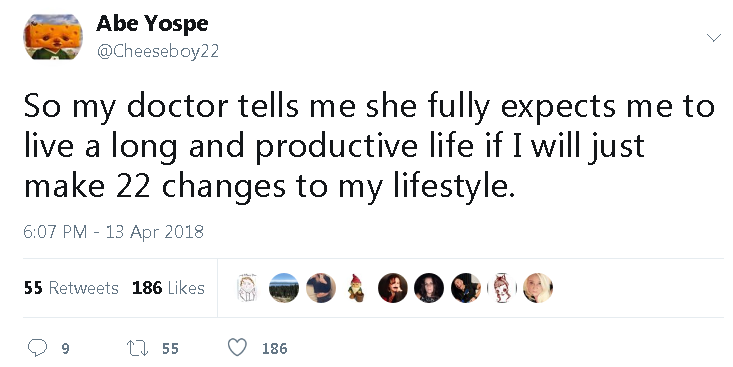 The whole point is to not sit around too much being inactive, watching TV or using the computer. Find new ways of doing things (typing while standing, playing with the kids outside more or walking upstairs more often) to burn those extra calories. You'll not only lose the weight, you'll also get to enjoy life more when you improve your lifestyle and extend the number of days you get to live! 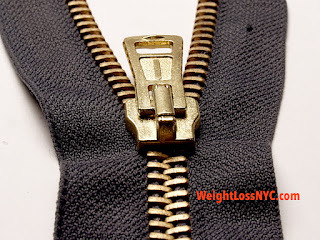 Get actionable tips and tricks for weight loss from Dr. Aron of WeightLossNYC. A licensed bariatric specialist, she'll set you straight on what you need to eat and do to lose 10 to 20 pounds of more each month. Call 718-491-5525 for your consultation. Believe it or not, fat is a healthy part of your diet. The trick? Choosing the right kind, which helps you stay full, prevent overeating and keep the weight off. When checking the nutrition facts on your food, scan for “monounsaturated fat” and “polyunsaturated fat”—these are the good fats. Olive oil—Not only a healthy source of monounsaturated fat, olive oil lowers bad LDL cholesterol and raises good HDL cholesterol. Nuts—packed with protein, unsaturated fats and omega-3s, nuts are a perfect satisfying snack. All you need is a small serving each day of walnuts, pecans, peanuts, macadamia nuts, hazelnuts, cashews or almonds (the size of a shot glass). Avocado—Avocados are high in heart healthy unsaturated fat, helping you feel satisfied. They may also help lower your LDL cholesterol by as much as 17 percent when consumed daily. Get weight loss tips and a medically proven diet plan from Dr. Aron, a bariatric physician who can help you lose weight without surgery or fad diets. Call today at 718-491-5525 for your initial consultation at WeightLossNYC™. For women, weight gain happens throughout all life stages, but each stage contains its own set of reasons and risk factors. Here, we explain from puberty on through menopause how and why women may gain weight--and how you can use that knowledge to your advantage to keep off the weight. 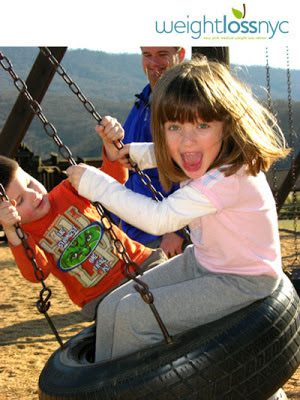 The earlier a girl starts puberty, the more likely she is to be overweight or obese as an adult. If she starts her period before age 11, she is likely to weight between 9 and 11 pounds more than another woman who started hers after age 14. Additionally, as many as 26 percent of women who started puberty early were considered obese by age 30 compared with 15 percent of the other women. It's difficult to imagine weight gain as a problem during childhood, but the childhood obesity epidemic proves this is an important time to start healthy diet and exercise habits that will last throughout the child's adult life. It's never too early to start. In fact, the earlier you start your child on a road to healthy living, the better! Weight gain is expected during pregnancy, but you still have to proceed with caution and be careful not to gain an excessive amount of weight. Gaining 25 to 35 pounds during pregnancy is usually the goal. Typically, a pregnant woman will gain 2 to 4 pounds in the first trimester, then 1 pound per week after that, but it depends on the woman's pre-pregnancy weight because 1 pound per week may be too much for some. Your doctor will give you guidance on what your ideal weight during pregnancy should be. After pregnancy, many women's bodies will hold on to 5 pounds of that gained weight, which may never be shed, but they generally will lose about 10 pounds immediately following delivery. They can lose 5 pounds a month in the next couple of months depending on the following factors: breastfeeding, diet and exercise level. By staying active, getting exercise, eating a healthy diet and breastfeeding, you can lose weight faster and easier. Two thirds of women are overweight by the time they reach their 50s. A drop in estrogen production is a possible cause, which causes the body to store fat, making weight loss more difficult. Weight loss can be more challenging for women after menopause, so it's important to seek the help of your doctor to ensure you're getting proper nutrition, exercise and remain in overall good health. By doing all of the above, you're increasing your chance of maintaining a healthy weight and leading a healthier, happier life. Find answers to your questions on weight loss, weight control, nutrition and more, by visiting Dr. Aron at WeightLossNYC.com; or call to schedule your first appointment with Dr. Aron today at 718-491-5525 and learn new skills for weight loss success today. Most people have heard of the term “high protein” diet, but what does it mean and how can it work for you? The goal of a high protein diet is to make sure the majority of calories that you’re eating come from protein packed foods vs. other foods in your daily diet. One of the main benefits of this type of diet is that it often means fewer carbohydrates, which even an amateur dieter will tell you is a big positive for losing those pounds. So what’s with all the fuss over lowering the carbs in your diet? Well did you know that when carbohydrates are restricted that your body begins burning your own fat for fuel. Simply changing to high protein foods can help to not only curb your appetite a great deal, but it also transforms your body into your own personal fat burning machine. Dr. Aron’s ideal ratio is one to one calories of proteins to carbs. A more balanced diet is essential for proper nutrition, as opposed to some dieting extremes that attempt to avoid all carbs and overload on meats. To learn more about Dr. Aron's successful weight loss diet plan, visit WeightLossNYC.com or call 718-491-5525 to learn more about the program. You can lose up to 10-20 lbs per month or more.